It was a cold Friday. Emerald Ashes lost the toss in the morning and came into bowl first. Shaky Stars from DHL, 1st wicket gone when their score was 11. Rajesh gave the break thru for Emerald Ashes. Manu was awesome in the first spell with his speed and swing and taken a wicket in his second over. 3rd Wicket partnership was outstanding by DHL, 93 Runs partnership by Asad Kamal and the debutante Taswar gave some hopes to DHL. They were both made fifties and the score was 141 from 20 overs. After the break, a superb run out by our great enthusiastic player Many, direct throw from Mid-off region break the partnership and it was the start for Emerald Ashes to bundled out DHL at a score of 223/10 in 36.4 Overs. Emerald Ashes started their inning with big shots. Rajesh was outstanding in the power-plays scored a quick 44 runs from 17 balls which included 4 huge sixes and 4 boundaries. Rajeesh Raghunathan was calm in the other ends and took his time to stay on the crease some times and changed his gear after scoring a class 50. Biju Viswan join with Rajesh but can’t stay long, he was bowled out when he was 11. Our aggressive player Sarath was not in a good form for the last 5 matches got his form back and scored a good 31 Runs from 25 balls which gave Emerald Ashes to finish the innings early as expected. Rajeesh changed his gear and scored a maiden Century in EPCA, it was absolutely a treat to watch. He was 118*(67) when he scored the winning 6 Runs with a huge six. He innings include 13 class boundaries and 5 class sixes. This is the 4th win by Emerald Ashes in the ongoing Al Markb series and 3rd consecutive victory. 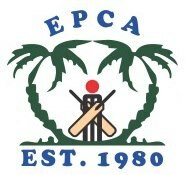 Keep going Emerald Ashes to continue the winning streak in the future matches too….